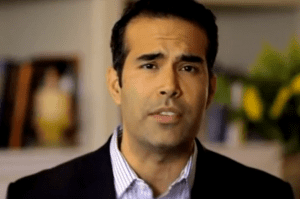 Texas Land Commission candidate George P. Bush said Wednesday he supports controversial efforts by federal lawmakers to defund the Affordable Care Act. Bush was in Addison to deliver the keynote address at the Metrocrest Chamber of Commerce luncheon celebration the George Herbert Walker Bush Elementary School. Before his speech, the Fort Worth Republican told me that he hoped Congress would be successful in stopping the implementation of the new health care law, which is commonly known as Obamacare. Republican lawmakers, including Sen. Ted Cruz of Texas, want Congress to approve a continuing resolution that funds government operations, but does not leave money for the Affordable Care Act. Such legislation would be vetoed by President Barack Obama, setting up a showdown that could result in a government shutdown. Bush, the son of former Florida Gov. Jeb Bush, said he backed Cruz’s efforts. “I agree with this effort to defund it, or keep Texas out of the program unless we can modify it to a Texas-specific solution,” he said. Bush is running unopposed for the Republican nomination for Texas land commissioner. He’s considered one of the party’s rising stars and is expected to cruise in next year’s election. He’s expected to “Cruz” through next year’s election, eh? Unless there’s a strong Democratic candidate, that’s what will happen. In his quest for Land Commissioner, Bush is running unopposed in the Republican primary so far, and it’s quite probable that’s how things will remain. Conversely, He’s making a specific effort to stay well under the radar. Bush wants to get elected quietly and calmly… just how his uncle moved swiftly through the ranks before defeating Ann Richards in 1994. But remember, when George P. Bush says he wants to defund Obamacare, that means he wants millions of Texans, eligible today for MediCaid, to continue to make due without any kind of health insurance. He wants hospitals all over the state to wade through the financial struggle of seeing patients without any compensation. He wants people to be denied health care due to a pre-existing condition. He wants insurance companies to keep spend money on executive bonuses, instead of providing the best health care for the hard- earned dollars of Texas families. What he and the Republican Party support is not better health care for Texas… it’s the continuation of Crisis Care. This is a clarion call to Democrats. 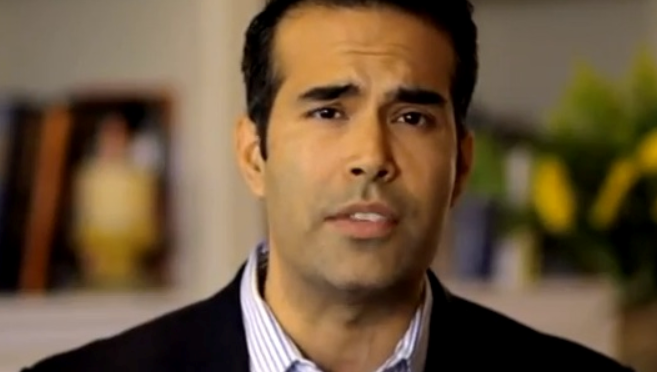 Most politicos in the state are pretty sure that George P. Bush is destined to win this seat. But a Democratic candidate can bring Bush out of the shadows by running a good campaign. A main reason why Texas Republicans are able to stay so dominant? Because Texans aren’t presented with reasonable alternatives. If Bush is running as a relative unknown, a Democratic candidate could, at the very least, force him into a debate so Texans get to see a true choice in this race. And of course… if they don’t run, there’s no way they can win. Great, yet another member of the Bush family rising up through the political ranks. Which is why I agree with the family matriarch… “We’ve had enough Bushes” in Texas statewide politics. He just gave up some ammo here, and I hope Democrats choose to use it.